On Wednesday the U.S. Secretary of Education named Wrightsville Beach Elementary School a 2016 National Blue Ribbon School, recognizing it as one of the best in the nation. There were only 279 public and 50 private schools in the nation to receive the award, with 7 others being awarded in North Carolina. The award’s criteria mainly focused on the students’ performance, and with the students of Wrightsville Beach Elementary scoring high on their end of the year tests they deservedly won the award. Principal Jackson Norvell credited the support of the WBS Foundation and the PTA for the success of the school. The Secretary of Education will honor recipients in Washington D.C. with a two day awards ceremony in November. This home features extraordinary views with 170 feet of lake frontage. 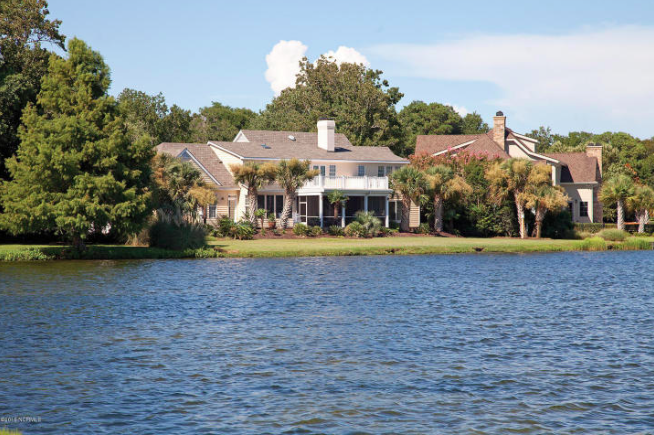 This beautiful low country style home has panoramic views of the Dye Lake and rolling hills of the #1 fairway and green and #2 island green. Newly renovated with a front to back gourmet kitchen with granite and travertine, custom cabinetry, island bar, stainless appliances, two sinks and two dishwashers. 5 bedrooms, 4 1/2 baths (2 bedrooms are en suites on the 1st and 2nd floors) office with built in cabinets, large family room/music room with separate entrance and walk-in sauna. This home is perfect for entertaining guests or just relaxing and enjoying the stunning view. Happening this weekend is the Secret Garden Tour starting at the Historic Latimer House in Downtown Wilmington. The annual tour features unique gardens in downtown Wilmington and surrounding areas. The secret garden name comes from the gardens since they are all hidden behind fences or houses and not normally viewed by the public. 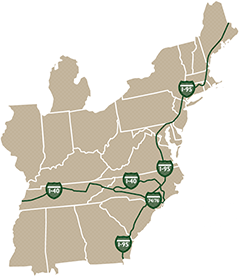 Tickets for the event cost $23.00 to $25.00 with proceeds benefitting the Lower Cape Fear Historical Society. 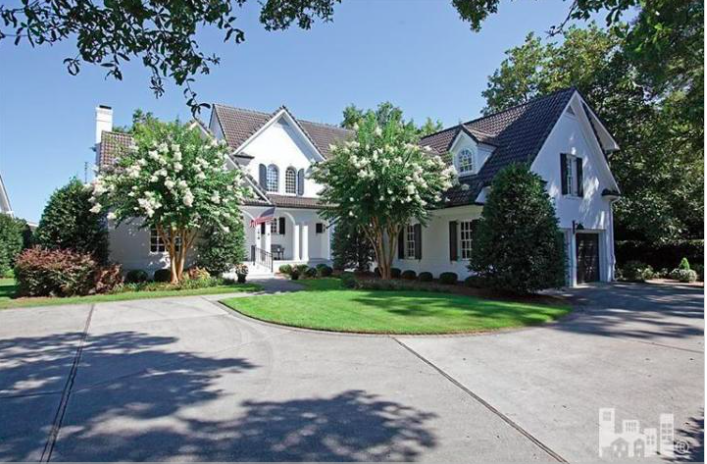 This European style beautiful brick home features a tile roof, and sits atop the most luxurious wooded setting in Landfall. The actual size of this home is 3700 to 3800 due to its apartment retreat accessed from the breezeway to the garage. Elegant first floor master suite, formal living and dining room open to an expansive porch. The living areas feature cathedral ceilings and have ceiling beams typical of country French style. Dark stained exotic flooring, gleaming white kitchen with many special built in cabinet features. 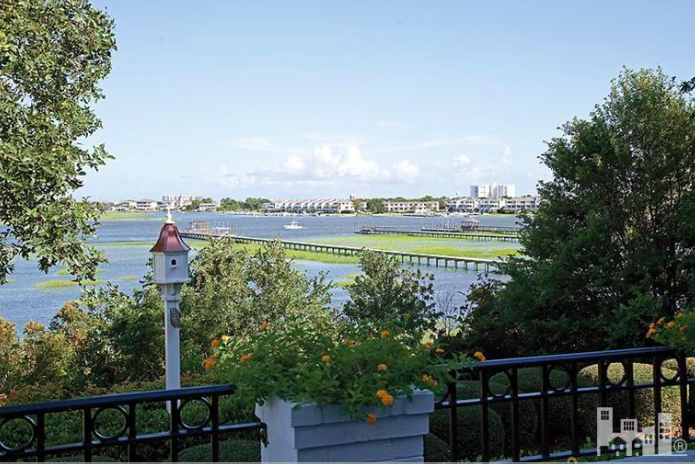 The sprawling back porch overlooks the Intracoastal Waterway with gorgeous views of Wrightsville Beach. This home is a Landfall Landmark; everyone who sees it remembers Landfall and this most incredible of waterfront homes. For more information on this house or any of Landfall Realty’s listings call our office at (910) 256-6111 or stop by our office located at 1740 Drysdale Drive. Next Tuesday, it’s the 2016 Thalian Hall Taste of the Town hosted by Thalian Hall Center for Performing Arts. This is an annual fundraiser that features food from restaurants all over Downtown Wilmington. Participants meet at Thalian Hall at 6:00pm before making their way around town. After the participants sample the food at each restaurant they are asked to vote for their favorites. Last years winners were Cousins Italian Deli and The George on the Riveralk. This year 14 restaurants are involved, including Beer Barrio, Betsy’s Crepes, Caprice Bistro, Pilot House, The Little Dipper, Bella’s Bar Local, The George, and more. Tickets are $50 and benefit Thalian Hall. It’s been 40 years since the North Carolina Aquarium in Fort Fisher opened in 1976. The aquarium has been a staple in the area for school children, tourists, and sea life lovers to learn about and see many animals they would not have a chance to see in the wild. Some of the animals that call the aquarium home include, turtles, seahorses, snakes, bald eagles, sharks, poison dart frogs, eels, jellyfish, alligators, and a plethora of fish from all over the world. To celebrate the anniversary the aquarium is hosting a party this Saturday from 10:00 am until 4:00 pm. In addition to the normal activities there will be games, demonstrations, a cake cutting, and a gallery of pictures of the aquarium has changed over the last 4 decades. The photo gallery also emphasizes the employees’ commitment to protecting and caring for the environment and animals. For more on the Fort Fish Aquarium visit their website http://www.ncaquariums.com/fort-fisher. 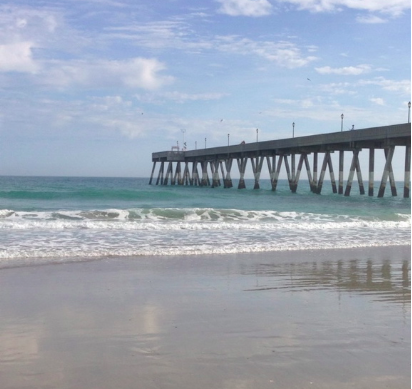 This Saturday at Wrightsville Beach is the Pier-2-Pier Open Water Swim Race Fundraiser. Starting at 9:00 am swimmers will race 2 miles between Johnny Mercers and Crystal Piers. Participants in the race are 11 years old and up and are divided into age groups. Proceeds from the event benefit the Cape Fear Aquatic Club, which is a competitive year round swim team for children. Come spend your Saturday morning on the beach watching these competitors swim for a great cause. sailing seminars, a tour of the boat building school at Cape Fear Community College, and a demo dock. In addition to the boat activities there are music, food, marine industry exhibits, fishing seminars and activities for kids. 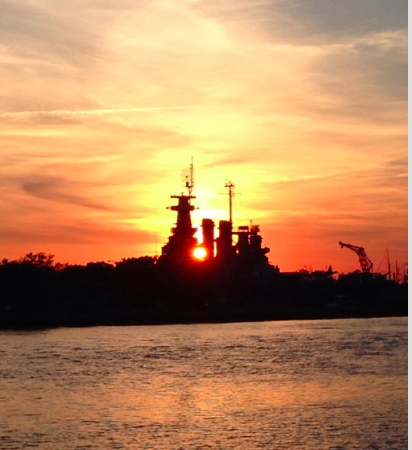 Parking is free at the Battleship NC with complimentary water taxis ferrying people across the Cape Fear River to the Port City Marina. On Friday the boat show is from noon until 6:00 pm, Saturday 10:00 am until 6:00 pm, and Sunday 11:00 am until 5:00 pm. As a 9/11 tribute on Sunday all military and first responders can come to the show for free with their families. For more on the Wilmington Boat Show and events visit their website http://www.wilmingtonboatshow.com/vendors/. 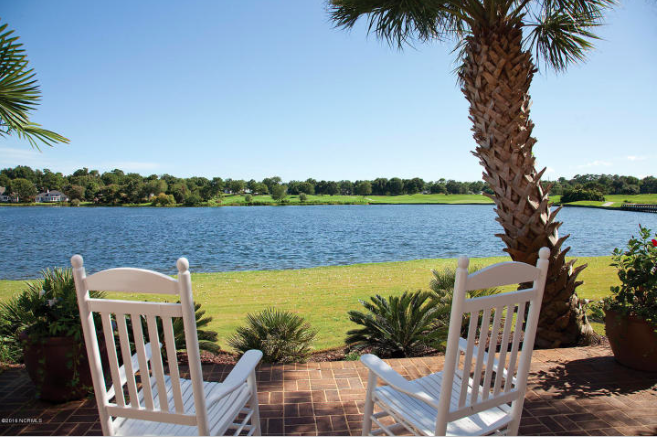 School has started again and summer is winding down, so this Labor Day enjoy the holiday at the Country Club of Landfall. The festivities start at 9:00am with a Shotgun at the Nicklaus Golf Course and with normal tee times at the Dye Course. From 9:00am until 11:00am is the Tennis and Pickleball Mixer happening at the Sports Center. After golf, tennis, and pickleball head to the pool to cool down and enjoy the warm sun. Starting at 11:00am lasting until 2:00pm is a pool party, buffet, a DJ, and games with Ms. Judy for the kids. The buffet menu is a mix of classic summer dishes including swordfish, Carolina pulled pork, BBQ chicken breast, hamburgers, hotdogs, and baked penne. 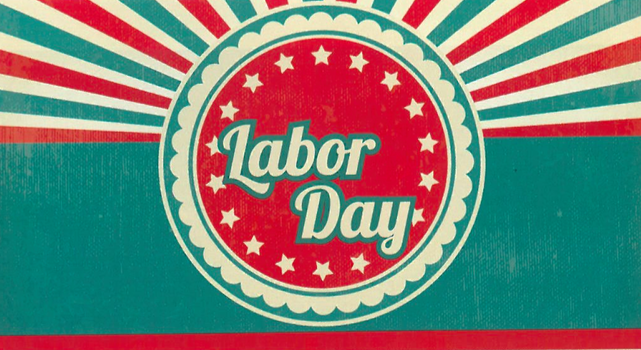 Enjoy the holiday off from work and school and have a Happy Labor Day!